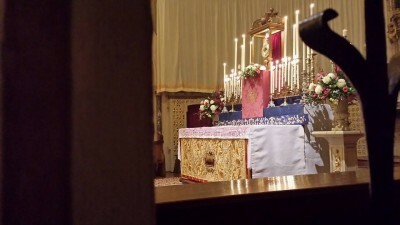 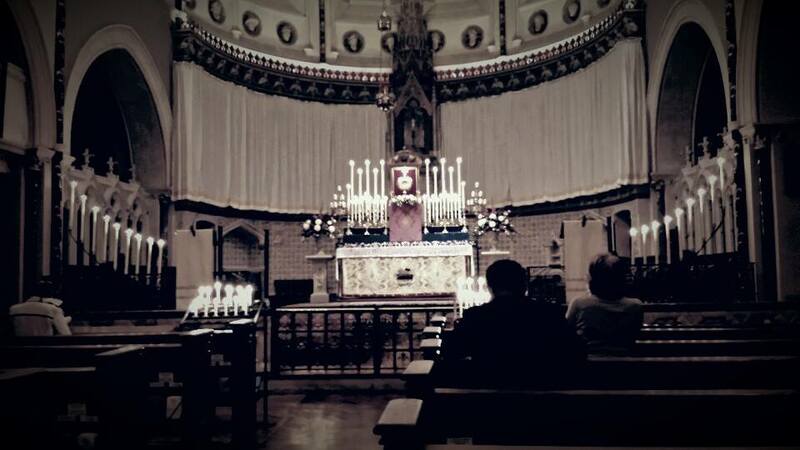 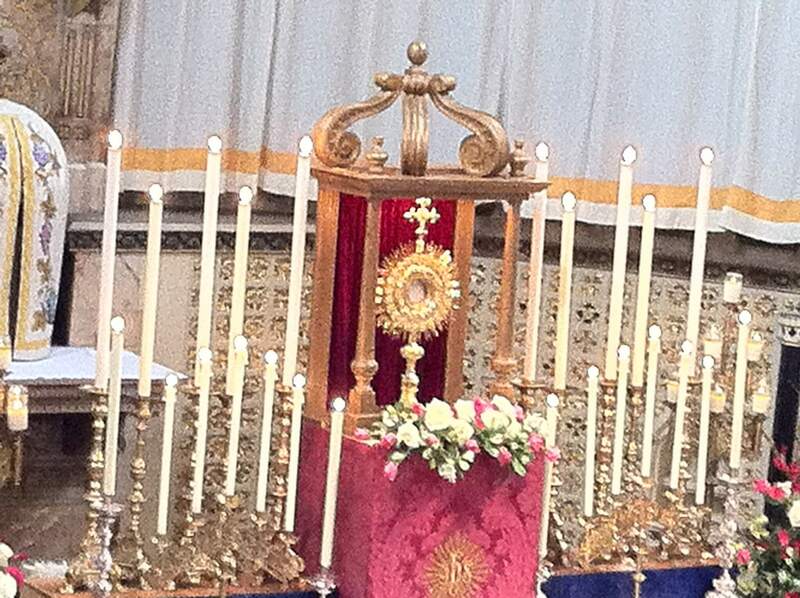 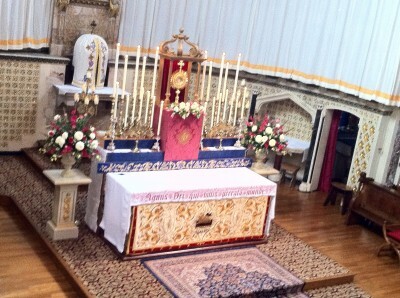 Our annual Forty Hours Exposition of the Blessed Sacrament began yesterday with a Solemn Mass, followed by an all-night vigil. The Dominicans of Blackfriars came to sing Compline at midnight, and the Sisters of The Work to sing Matins and Lauds at 5am. Exposition continues until midnight tonight, with a Mass for Peace at 6.30pm. 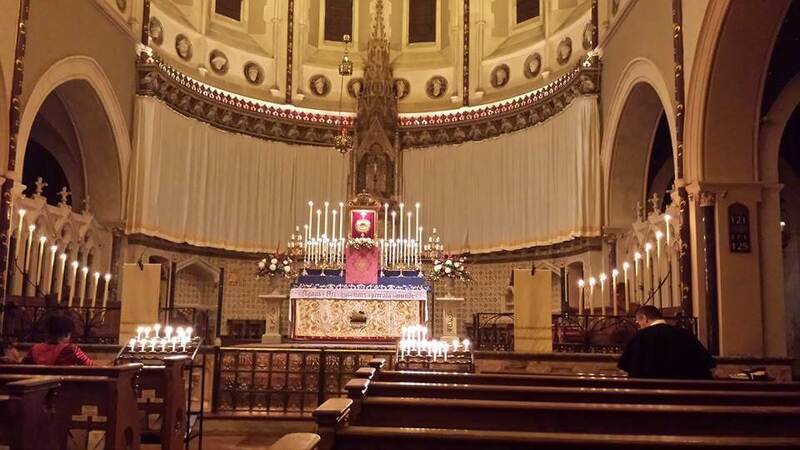 Tomorrow (Sunday) there will be a Solemn Mass of the Sacred Heart at 11am, after which exposition resumes until 5pm, when there will be Solemn Vespers, Procession and Benediction.